Home > Limited Edition! Pink FLEX XC3401 VRG Dual Action 6.5 inch Pad Kit - Choose Your Pads! Mike Phillips will personally autograph your copy! Buy one for yourself or as a gift! 150 pages of detailing tips, tricks and techniques to achieving a flawless finish on your vehicle! Mike Phillips is a world-renowned expert in the field of auto detailing, both as a professional detailer and instructor. Mike has over 36 years of real-world, hands-on experience with just about every detailing tool and product available. With Mike's latest book, The Complete Guide to a Show Car Shine, you can tap into his vast knowledge and expertise to learn how to create a flawless, show-car quality finish in your own garage. To this! - A flawless finish worthy of a show-car. Say goodbye to swirls, scratches and water spots and hello to crisp, clear reflections. Mike Phillips' The Complete Guide to a Show Car Shine builds upon the information in Mike Phillips' first book, The Art of Detailing, but also includes such topics as rotary polishers and clay bar alternatives like the Nanoskin Autoscrub System and Optimum's Opti-Erasers. What's more, The Complete Guide to a Show Car Shine features what is arguably the definitive guide to the Flex XC3401 VRG Dual Action Orbital Polisher. The Complete Guide to a Show Car Shine is the next best thing to attending one of Mike Phillips' detailing classes at our headquarters in Stuart, Florida. Mike Phillips has long specialized in descriptive, educational writing that accurately portrays his years of hands-on detailing experience and his latest book is no different. The Complete Guide to a Show Car Shine contains the information needed to create a flawless, show-car finish in an easy-to-read format that people of all ages and skill levels can benefit from. If you have a passion for perfect paint or simply want to expand your knowledge of car care and detailing, pick up a copy of Mike Phillips' The Complete Guide to a Show Car Shine and transform your ride. 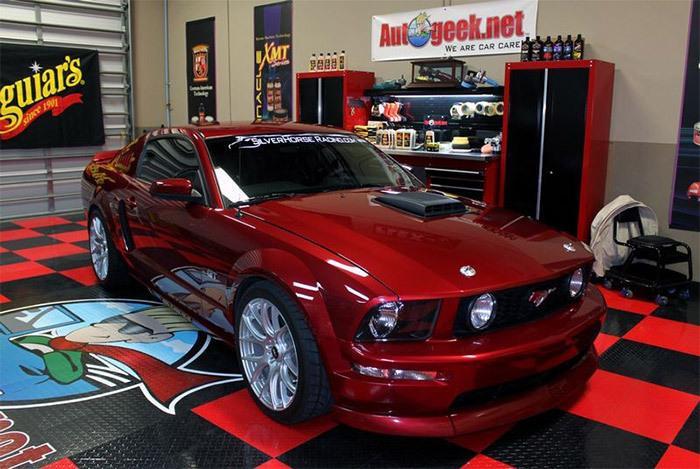 2006 "RedFire" Mustang GT polished to a swirl-free, high-gloss finish using the tips, techniques and processes found in The Complete Guide to a Show Car Shine Book. Fantastic information in a bad package. Everything I wanted in content. Great information, easy to digest. Binding of the book is a bad as it gets. It fell apart during my first reading. Every page turned, equals a page that came loose. Too bad given the quality of the cover, illustrations and pictures. I'll probably have to three hole punch it and stick it in a binder. ProsContains all the information I was looking for. Well explained, well illustrated. The information is organized in a cogent, thoughtful manner. ConsThe binding of the book is as bad as it gets. For this reason I recommend it with some very strong reservations. This is one of the better books Iâ€™ve read. Mike goes into great detail with his explanations. Itâ€™s one thing to understand a process but another thing to understand the science behind it! Iâ€™ve read the book twice and still use it as a reference. 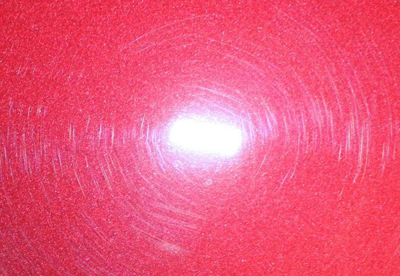 This book will make you a better detailer. ProsItâ€™s a book. If you can read, then you got this. ConsItâ€™s a book. If you canâ€™t read, well there a lot of pretty pictures to look at. What a great insightful book written by someone with years of experience detailing cars. I pick it up and read it and pick up new tricks all the time. Its a must for anyone who wants a car that has the look of a brand new car. Lots of tips and tricks on this book, very easy to pleasing to go through. Mike Phillips seems like a professional and offers a ton of tips on car care from as simple as washing a car properly to machine polishing. Got this with my polisher, two thumbs up to Mike for offering this to us. He seems very passionate about detailing.